The Hope Grey Velvet Fabric 4 Drawer Winged Storage Bed offers bedrooms a generous amount of storage and a gorgeous aesthetic that's flexible to suit any style or decor. 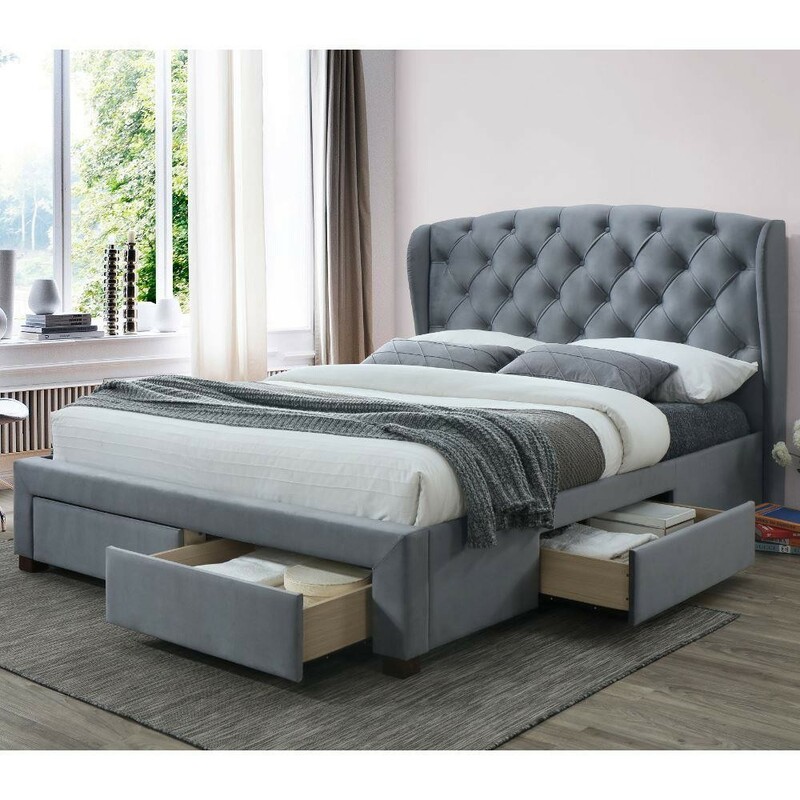 Offering excessive storage space that's built into a classy contemporary design, the Hope Grey Velvet Fabric 4 Drawer Winged Storage Bed is the perfect solution to your discrete storage problems whilst providing maximum comfort as you sleep. The beautifully warm grey tones of the luxurious grey velvet gives the Hope Grey Velvet Fabric 4 Drawer Winged Storage Bed a modern aesthetic with an elegant touch. 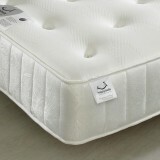 Features include a high headboard for a grand effect with buttoned detailing to add elegance and style. The winged nature of the headboard ensures the Hope Grey Velvet Fabric 4 Drawer Winged Storage Bed remains unique and characterful whilst creating an enlarging optical illusion with a sense of security. The Hope Grey Velvet Fabric 4 Drawer Winged Storage Bed boasts four generously sized storage drawers to grant you the opportunity to make the most of your bedroom space. Storage solutions are essential in maintaining an organised, beautiful home and with the Hope Grey Velvet Fabric 4 Drawer Winged Storage Bed there is certainly more than enough storage space available. High quality construction and a sturdy build maximises the lifespan of the Hope Grey Velvet Fabric 4 Drawer Winged Storage Bed, whilst dark Rubberwood feet promise a secure and comfortable slumber. Every Hope Grey Velvet Fabric 4 Drawer Winged Storage Bed is designed with discrete storage and a luxurious exterior to ensure a modern aesthetic. Delivered flat-packed for efficient delivery, the Hope Grey Velvet Fabric 4 Drawer Winged Storage Bed is easily self-assembled with full instructions provided in every purchase and available online to ensure minimum stress on your journey to a good night's sleep.